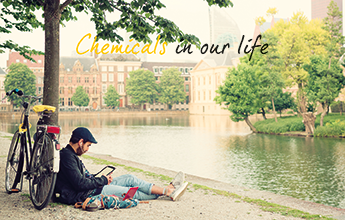 ECHA has launched a new dedicated website to make consumers more aware of the benefits and risks of chemicals in their everyday lives. The Committee for Risk Assessment (RAC) adopted 14 proposals for harmonised classification and labelling, as well as one restriction proposal on lead in gunshot. The Committee for Socio-economic Analysis (SEAC) adopted two final opinions on restriction proposals. The Forum for enforcement has launched a new pilot project on the authorisation of chromium VI compounds. At its latest meeting, the Forum also discussed the results of the pilot project on CLP focusing on internet sales. ECHA's Conflict of Interest Advisory Committee (CoIAC) has published its activity report for the year 2017. When preparing a registration, you need to include information on the uses of your substance, including those of your customers. Use maps can help you to describe the uses in a standardised way based on the information from certain downstream user sectors. The use maps will also give you information on the conditions of use, which can help you carry out the chemical safety assessment and to prepare a chemical safety report (CSR) that you need to include in your dossier if you register a substance for above 10 tonnes per year. The example is helpful if you are considering claiming information in your registration as confidential. It gives recommendations, and explains how to claim confidentiality as well as how to check what information from your dossier will be published. The document is available in 23 EU languages. We have updated three questions and answers on pre-registration under REACH and REACH-IT topics. The revisions concern a situation where the identity of the substance to be registered is different to that in the pre-registration. Our new web page offers tips to SMEs and consultants to ease cooperation to successfully register under REACH. Published now in English, it will soon be available in 23 EU languages. ECHA has adopted the updated Community rolling action plan (CoRAP), with 108 substances listed for evaluation in 2018-2020. Registrants of the listed substances are encouraged to coordinate their actions and contact the evaluating Member States. The Netherlands, in cooperation with ECHA, have updated their intention to restrict the placing on the market of plastic, rubber and other granules containing PAHs above a set concentration limit. The intention covers uses as infill material on synthetic turf pitches or as loose granules or mulch on playgrounds and sport applications. The European Commission has requested ECHA to start the preparation of an Annex XV restriction dossier concerning calcium cyanamide (EC 205-861-8). ECHA will assess whether the use of calcium cyanamide as a fertiliser poses an unacceptable risk to the environment. 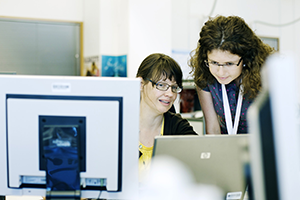 ECHA invites interested parties to submit any information they have available to help with the preparation of the dossier. The deadline for comments is 17 May 2018, 23:59 EET (Helsinki time). Stakeholders are invited to comment on the draft opinion of the Committee for Socio-economic Analysis (SEAC) concerning the restriction proposal from ECHA on lead and lead compounds (EC 231-100-4) used within a wetland or where spent gunshot would land within a wetland. The harmonisation of the conditions of use of lead in shot in wetlands is a priority at EU level. This public consultation is open until 21 May 2018, 23:59 EET (Helsinki time). The consolidated opinion of the Committees for Risk Assessment and Socio-economic Analysis for a use of chromium trioxide (EC 215-607-8) by ZF Friedrichshafen AG is available on our website. The European product categorisation system (EuPCS) describes ‘the intended use of a mixture’ for which a submission has to be made according to Article 45 and Annex VIII of the CLP Regulation. It covers mixtures classified as hazardous based on their health effects or physical properties. The first draft of the guidance on the interpretation and application of the new annex to the CLP Regulation has been published. The annex harmonises the information to be submitted to appointed bodies relevant for emergency health responses. 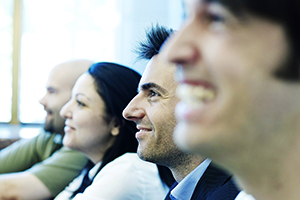 The document was drafted by ECHA together with a dedicated external working group. The draft Guidance is currently undergoing a formal consultation process and the final version is expected to be finalised and published by the end of 2018. A new intention to harmonise the classification and labelling has been received for divanadium pentaoxide (EC 215-239-8, CAS 1314-62-1). The withdrawal of the UK from the European Union will have an impact on many businesses. 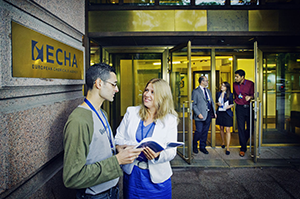 ECHA has published Q&As to provide more information on these impacts. For example, what will happen if you purchase a substance from a UK-based supplier which has registered the substance or from a UK-based importer? ECHA's dedicated web page on the UK’s withdrawal will answer these questions and many more.